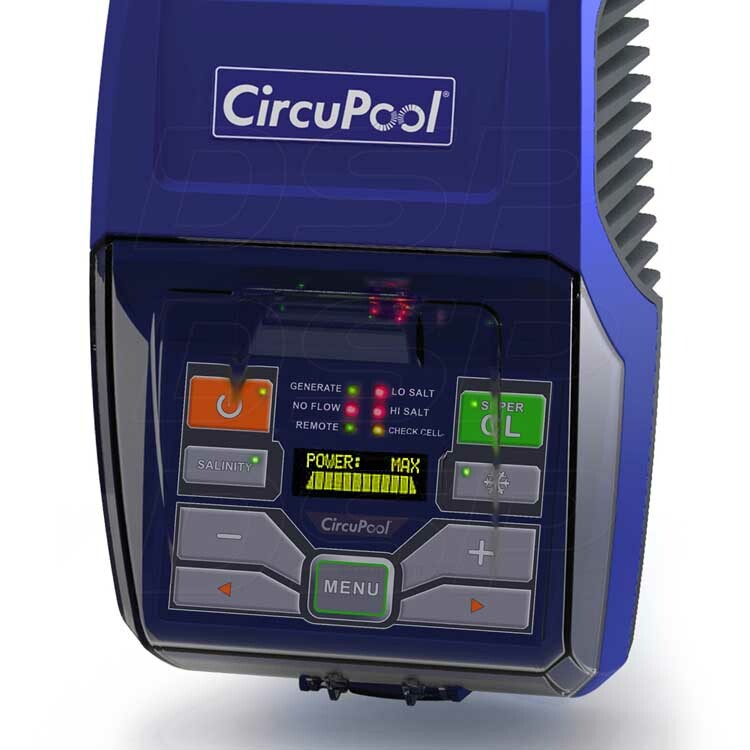 The CircuPool RJ16 PLUS electronic chlorine generator is an advanced, third-generation salt pool system. 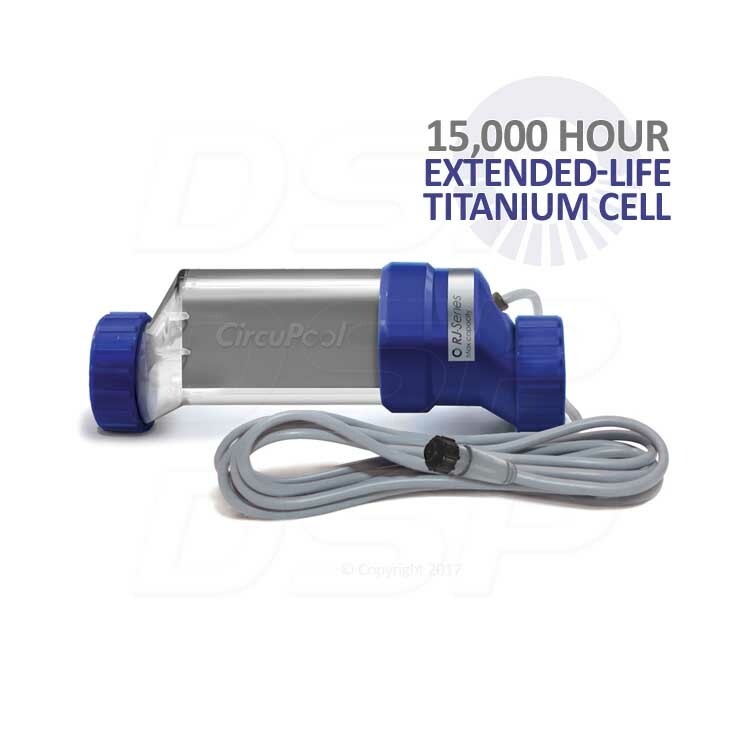 PLUS models have advanced Electrolytic Titanium cells with Rare-Earth Minerals for an extended lifespan cell (more than 50% longer than other major brands). 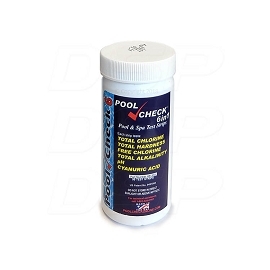 The salt chlorinator works with existing pump and filtration systems to reliably supply the swimming pool with pure chlorine, every day. 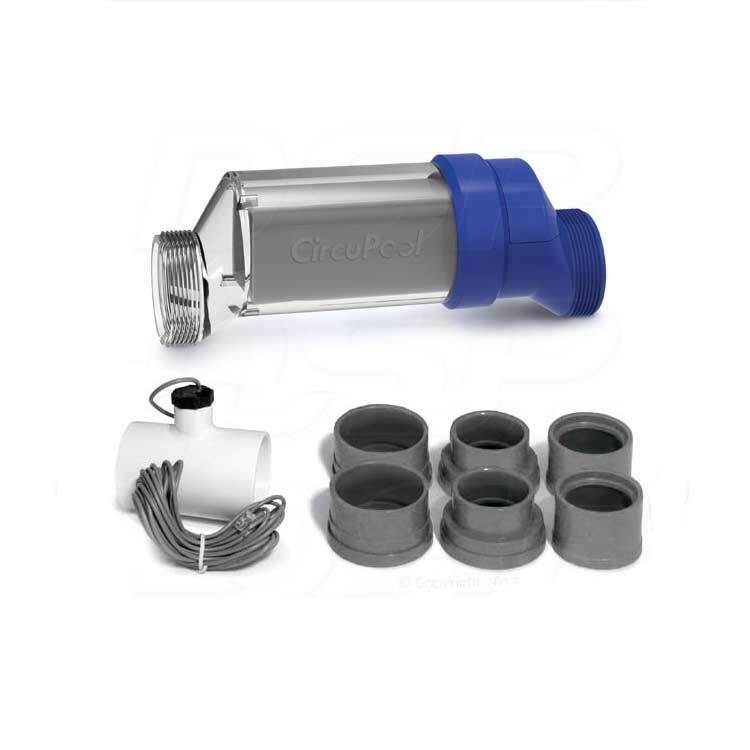 The CircuPool RJ-PLUS Series uses a low salt level and makes the pool water silky soft to provide the ultimate swimming experience. Max capacity: 16,000 gallons. I installed the RJ16 on our inground pool first thing this spring and it did not disappoint. 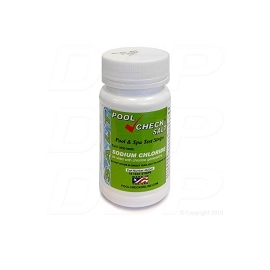 No chlorine or shock needed all summer, barely even touched the pool if I wasn't swimming in it. 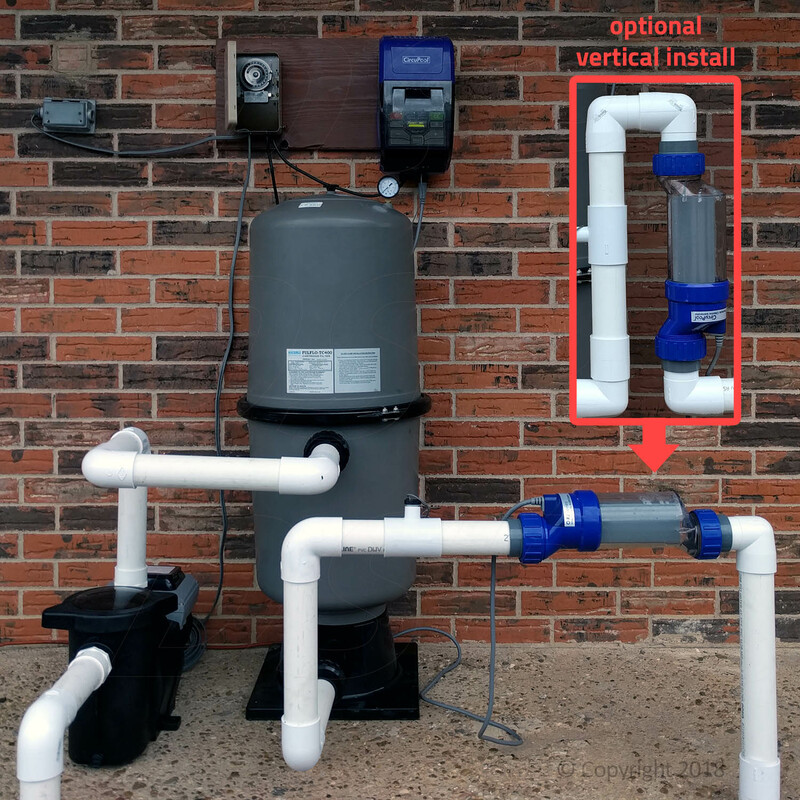 I recently installed this salt system on my pool. I noticed that the manual was missing from the box, but they basically walked me through everything I needed to know which was great, and they sent me the manual ASAP anyways. Thanks for the help. It took me a day but I easily plumbed in the cell and wired the unit to the existing wiring without any issue. After I got the pool up to par in salt is was able to turn it on. Its so much nicer than my old salt system. I love I can see through the cell. I installed it myself in about an hour. 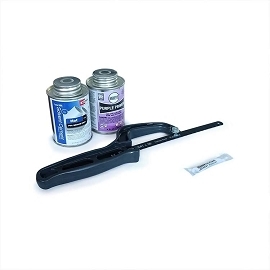 Everything that I need was in the box minus the PVC glue. Instructions were clear cut and did not run into any problems. 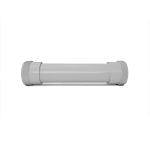 A: The RJ16+ cell will have the same length and same threaded connections as the standard Hayward Aqua Rite style cell. 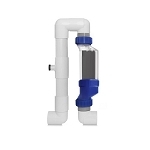 The RJ does use the standard saltwater chlorinator flow switch, so if your AQ-TROL-RJ didn't utilize a flow switch, it is a simple task to add the new one that comes with the RJ16+. Overall it is a relatively easy swap. Q: how does this compare to the Haward Aquarite 15? A: The RJ-Plus series has a 7-year warranty, 15000 hour lifespan cell, controls with OLED display and die-cast aluminum heatsink, and a clear cell. 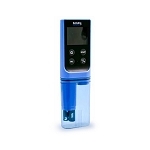 The Aquarite has a 3-year warranty, 10000 hour lifespan cell, controls with LCD display and sheetmetal control box, and a opaque cell. 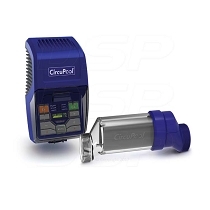 The RJ16 Plus has 0.7 lbs/day chlorine output and is meant for 16000 gallons max. 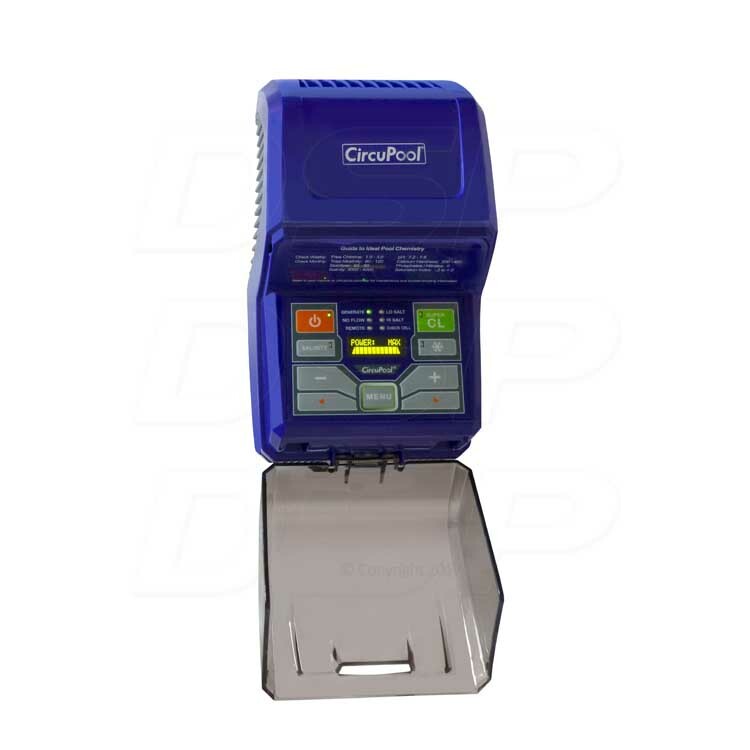 You wouldn't directly compare its size, as the AQR15 has 1.4 lbs/day chlorine output and is meant for 40000 gallons max. 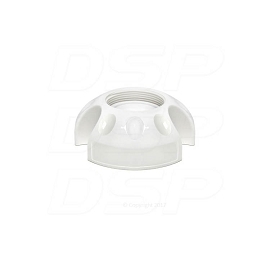 You would maybe want to compare it to the RJ30+ or RJ45+ sizes.